Nestled at the base of the 300,000 acre Great Smoky Mountains National Park, Gatlinburg is appropriately nicknamed the “Gateway to the Smokies.” With three entrances to the park from downtown and numerous roads and trails leading into the park, there are endless opportunities for outdoor recreation in the area. In fact, it was the creation of the national park in 1926 that boosted tourism to the area and with the end of World War II in 1945, tourism became one of the biggest economy boosters for this sleepy town. 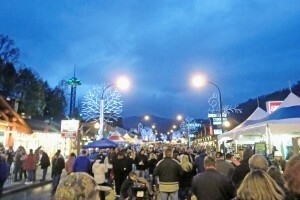 RTX Traveler highlights some of the best activities for winter in Gatlinburg. Easy, warming and great for a crowd, chili is the ideal winter dish whether you are snowed in at home or celebrating the cold on vacation. We know from Gatlinburg’s Winterfest that chili is a favorite dish of the area, and we found a tasty recipe from the Smoky Mountain Cookbook for the slightly less traditional, yet still very delicious, white chili. 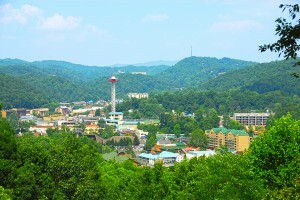 While some resort towns and areas supported by tourism all but close their doors and hibernate for the winter, the small and energetic towns of the Great Smoky Mountains in Tennessee – Gatlinburg, Sevierville and Pigeon Forge – light up and get out, and encourage visitors and locals alike to do the same. Each town has its own kickoff event and from November through February, Winterfest is celebrated throughout these communities with holiday shows and events, special tours, activities hosted by local businesses and plenty of holiday lights to admire. Bgladwell1In downtown Gatlinburg, it’s hard to miss the iconic space needle attraction, as if the real thing were plucked from Seattle and dropped into the Smokies. Visitors can take the elevator to the top for a view of downtown and the surrounding mountains or you can choose from hundreds of games of chance and skill in the bustling arcade on the ground floor. If you make your way through the lights and music to a back corner, you’ll find the Arcadia Theater, where one of Gatlinburg’s newest shows will dazzle and delight you, and might just blow your mind. While there’s plenty to see and do in the immediate area of Gatlinburg, there are also several attractions and sights that are well worth an easy, scenic drive to the nearby towns of Pigeon Forge, Sevierville and beyond. 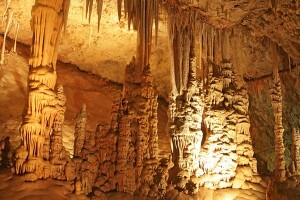 While many people travel to the area because of the natural beauty of the Great Smoky Mountains, few realize that arguably the most interesting splendor of the ancient mountain range is only visible by venturing underground. The Buckhorn Inn is nestled on a hillside just east of Gatlinburg with uninterrupted views of the Great Smoky Mountains. The inn will celebrate its 75th year in 2013, and welcomes the public to its dining room each evening for a seasonal southern-influenced four-course meal. 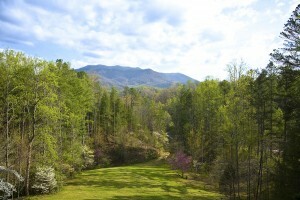 As the gateway to the Smokies, the Gatlinburg area is known for its easy access to miles of trails. While simply getting out for a hike on your own or with your family can be invigorating and rewarding with stunning views, consider a guided hike with a company such as A Walk in the Woods. Their knowledgeable guides will teach you more about the history, flora and fauna of the trails than you ever would have figured out on your own. 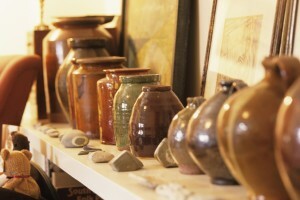 Years ago, downtown Gatlinburg was filled with local artisans making their specialty hand-crafted goods such as brooms, pottery, blown glass, woodwork, paintings, jewelry and other art. Not too long ago, the increasingly high rent for retail space along the Parkway downtown began nudging these locals out of their storefronts to make way for franchises and national retailers. While it seems like an unfortunate ending, it really was just the beginning as most of the artists moved to an area of Gatlinburg known as The Glades. Now you can take a drive on the eight-mile Arts & Crafts Loop and see hundreds of artisans from the Smokies and throughout Appalachia not only sell their work, but create it right before your eyes. Nestled at the base of the 300,000 acre Great Smoky Mountains National Park, Gatlinburg is appropriately nicknamed the “Gateway to the Smokies.” With three entrances to the park from downtown and numerous roads and trails leading into the park, there are endless opportunities for outdoor recreation in the area. In fact, it was the creation of the national park in 1926 that boosted tourism to the area and with the end of World War II in 1945, tourism became one of the biggest economy boosters for this sleepy town.